As soon as I started listening to When The Moon Was Ours, I resolved to make graphics from the book quotes. If you’ve known me for any length of time, you’ll quickly realise that I go weak at the knees for images of the night or of flowers, and this book has both in abundance. The writing painted imageries directly into my mind, and I had to get them down – even though I felt inadequately equipped for the task. Quotes and characters belong to the insanely talented Anna-Marie McLemore. 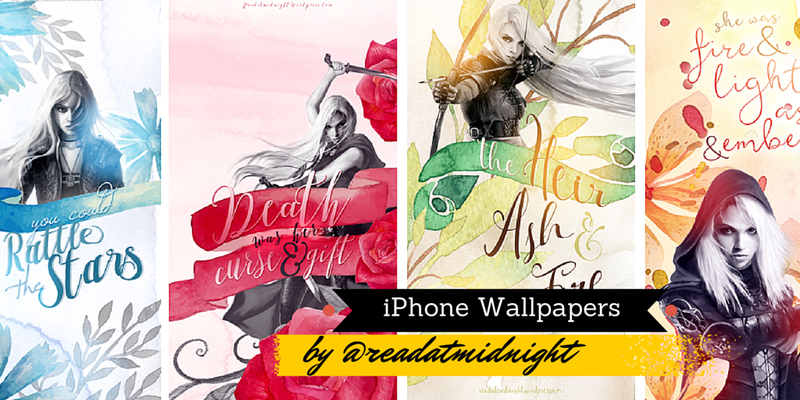 To finish off my Throne of Glass week, I have FOUR iPhone 5 Wallpapers for download! Free for personal use. Please do not redistribute. Characters + Quotes belong to the amazing Sarah J Maas.